We offer a comprehensive range of WRAS Approved coatings, linings and repair products for the cost effective refurbishment of water tanks. WATER TANK LININGS are applied on the interior of the water tanks to protect against leaks, corrosion and water contamination. When RELINING POTABLE WATER TANKS is of vital importance that the drinking water tanks and lining don’t contaminate the contents of the tank. In the UK there are regulations for the coatings used for water tank refurbishment. Any tank or coating material used should be approved by the Water Regulations Advisory Scheme (WRAS). COLD WATER STORAGE TANK LININGS can applied to any tank design, size or substrate. So there are always there are always a suitable lining system for your project. Need a water tank painting contractor for your tank reline project? 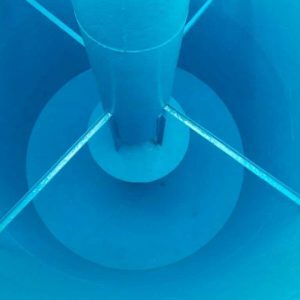 We work closely with a number of reputable tank refurbishment and lining companies and can recommend a fully trained third party contractor in most regions of the United Kingdom. This document details the requirements for surface preparation, application procedure and inspection of MAXLINE 100 – POTABLE WATER COATING used for the protection of mild steel water tanks in continuous immersion with drinking water. MAXLINE 100 POTABLE WATER TANK COATING is a WRAS approved solvent-free flexible drinking water tank coating. Specifically designed for potable and drinking water tanks and provides excellent protection against erosion, corrosion and bacterial growth. Once cured the product is extremely flexible and will breathe with the tank as it cycles from full to empty without any risk of cracking. 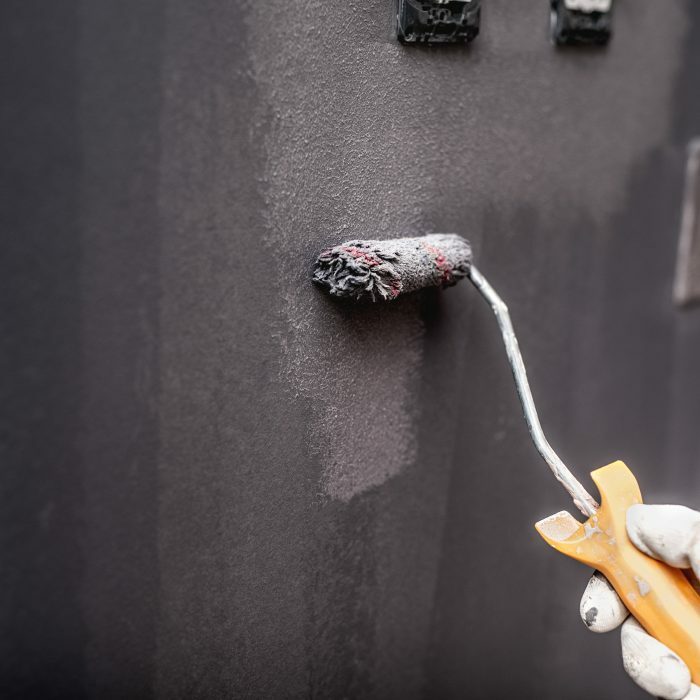 MAXLINE 100 COLD WATER TANK COATING will have a design life in excess of 10 years when installed as stated within this application guide and the product data sheet. We offer a full APPLICATION SERVICE through our network of approved 3rd party contractors, please do not hesitate to contact us for further details. Any requirements stated in this document are in addition to those stipulated in the Technical Data Sheet for MAXLINE 100 – POTABLE WATER COATING. Prior to blast cleaning all adjoining equipment and structures shall be fully protected from mechanical damage and ingress of dust and abrasive from the blast cleaning process. Prior to blast cleaning all sharp edges and corners shall be identified for special attention such as grinding. All traces of oil and grease contamination shall be removed by a suitable cleaner/degreaser, e.g. MEK, prior to blast cleaning of the surface. 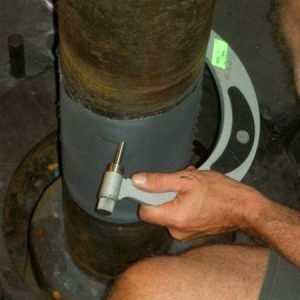 If it is not possible to carry out some of the actions above due to limitations on grinding and other hot work, it is accepted that a higher than average number of coating defects may need to be remedied around such areas. Under no circumstances shall blast cleaning be undertaken if the relative humidity is more than 85% or the substrate temperature is less than 3°C above the dew point. Angular blast cleaning abrasives shall be clean and dry and free from any contaminants, such as salts, which may adversely affect the performance of the coating. Areas not to be blasted should be adequately protected to prevent damage. Angular abrasives only shall be used. The use of shot or bead media is not acceptable. The use of sand is not acceptable. All blast-cleaning equipment shall be free from water or oil. Suitable oil/water traps shall be installed on all compressed air supplies. Prior to commencing grit-blasting a small test patch shall be undertaken to ensure that a surface cleanliness of ISO 8501: SA 2.5 and a minimum surface profile of 50-75 microns can also be achieved. This standard shall then be maintained throughout. Following completion of blast cleaning all dust, blast media and other debris shall be removed by sweeping or vacuuming. The surface shall then be washed with MEK and allowed to dry. The condition of the blasted surface must be maintained until application of the first coat. If this is not possible then the surface shall be re-blasted prior to application of the coating system. UNDER NO CIRCUMSTANCES SHALL THE COATING BE APPLIED AT GREATER THAN 90% RELATIVE HUMIDITY OR WHEN THE SUBSTRATE TEMPERATURE IS BELOW 18°C OR LESS THAN 3°C ABOVE THE DEW POINT. The batch number of the product used shall be recorded on the quality records concerned. Prior to application, the ambient conditions shall be checked and found to be in accordance with the coatings manufacturer’s instructions. These readings shall be checked on a regular basis throughout the application and recorded in the quality control documentation. Any sudden changes in atmospheric conditions shall also be recorded on the quality control documentation. MAXLINE 100 – POTABLE WATER COATING shall be mixed in accordance with the Technical Data Sheet. Once mixed the material should be transferred to two or more paint trays to extend the working life. Using 2”-3” inch brushes with the bristles cut short (2 cm), all edges and corners should first be stripe coated with 200-300 microns of product. As soon as the stripe coated areas are capable of being over-coated without disturbance, starting with the most difficult to access areas, MAXLINE 100 – POTABLE WATER COATING can be applied to the surface using medium pile rollers. For flat or open areas, a squeegee can be used to apply the material. The coating should be applied at a minimum wet film thickness of 400 microns. If applying by squeegee once the area has been coated brush out any marks using a 2”- 3” brush. A wet film thickness gauge shall be used to regularly check the applied thickness brushing out the surface after each check. Records of thickness checks shall be recorded in the quality document. As each section of coating is applied, careful visual inspection shall be carried out to identify any obvious defects or misses which shall be corrected at this stage. Care shall be taken to ensure that material is not used outside of its usable life (pot life). Once the 1st coat has hardened sufficiently the 2nd coat of MAXLINE 100 – DRINKING WATER TANK PAINT can be applied. Any environmental conditions required for the application of the coating shall also be applicable to the remedial work. The results of checks shall be recorded on the quality control documentation. Grit blasting to give a frosted surface finish with a blast profile of no more than 50 microns. This is usually only for large areas, or areas where many defects exist within an area. Manual preparation using a coarse emery paper. 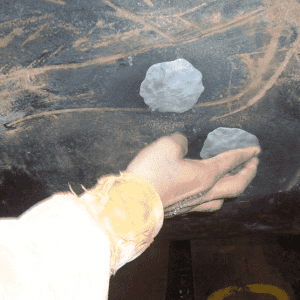 Care should be taken to ensure that the coating is not removed to the substrate, otherwise re-preparing the surface by grit-blasting will be required. Following preparation, the surface shall be cleaned, washed using M.E.K. and dried. Mix and apply the MAXLINE 100 – POTABLE WATER COATING as per the Technical Data sheet at a minimum wet film thickness 400 microns. Remove any masking tape whilst the product is still wet. 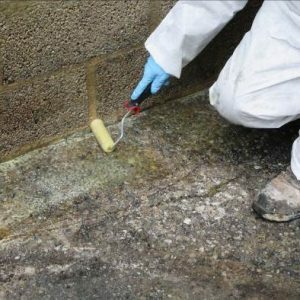 The entire coated surface shall once again be visually inspected, and any defects found shall be marked with a suitable marker for remedial work to take place. Inspection for holidays shall again be carried out using a low voltage wet sponge tester (assisted by a wetting agent). 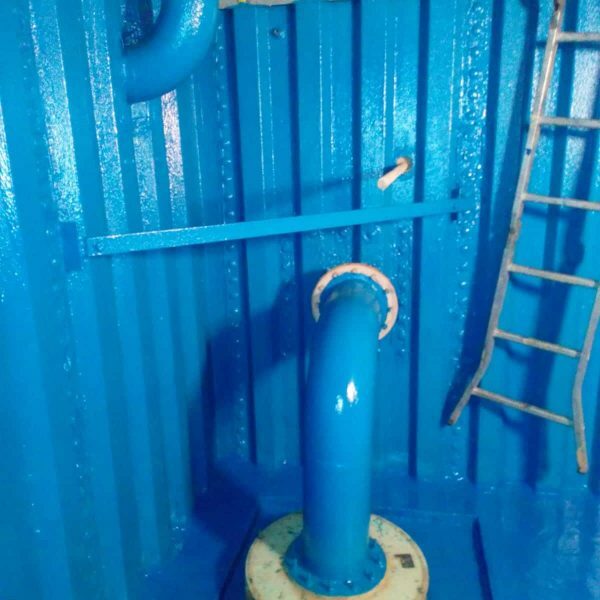 This document details the requirements for surface preparation, application procedure and inspection of MAXLINE 100 – POTABLE WATER COATING used for the protection of galvanised steel water tanks in continuous immersion with drinking water. MAXLINE 100 POTABLE WATER TANK COATING is a WRAS approved solvent-free polyurethane water tank relining system. Specifically designed for potable and drinking water tanks and provides excellent protection against erosion, corrosion and bacterial growth. Once cured the product is extremely flexible and will breathe with the tank as it cycles from full to empty without any risk of cracking. MAXLINE 100 POTABLE WATER COATING will have a design life in excess of 10 years when installed as stated within this application guide and the product data sheet. Prior to commencing grit-blasting a small test patch shall be undertaken to ensure that a surface cleanliness of ISO 8501: SA 2.5 and a minimum surface profile of 35 microns can also be achieved. 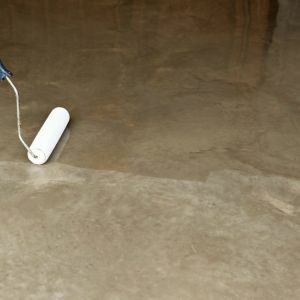 Once the 1st coat has hardened sufficiently the 2nd coat of MAXLINE 100 – POTABLE WATER COATING can be applied. Epoxy paints for drinking water tanks that are WRAS or DWI approved. 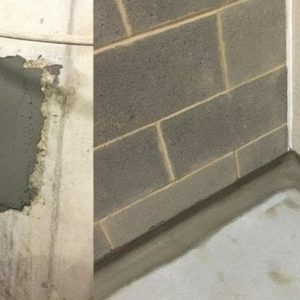 WRAS & DWI compliant concrete repair mortars and screeds for the refurbishment of concrete than and reservoirs.